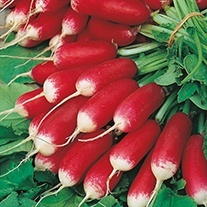 Radish Seed delivered direct by D.T.Brown seeds. 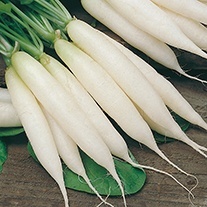 Radish is derived from the Latin word “Radix” which literally translates to the word ‘root’, quite apt for this little root vegetable that stems back further than the Ancient Chinese writings from 2700 BC. 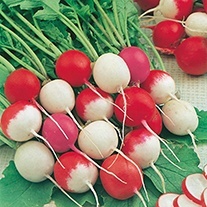 Abundantly represented throughout history, the Radish finally arrived on our shores in the 1500’s where it was used to treat an array of illnesses from kidney stones to acne. 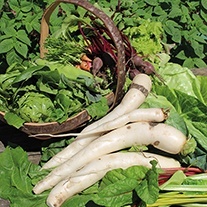 Today we understand why it has been such a dietary staple, with its plethora of health benefits. 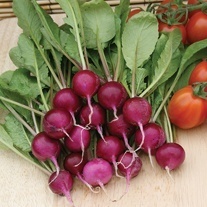 A very easy variety to grow, perfect for introducing children to the wonders of growing. 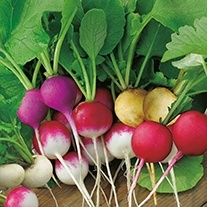 Sow all seeds very thinly, with minimum space based on the harvest time of each variety. 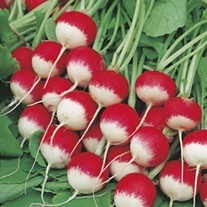 There should be 3cm/1in between each seed for summer harvest types, with each drill spaced at 15cm/6in, whereas the winter varieties should be spaced at 15cm/6in with 25cm/10in between drills. 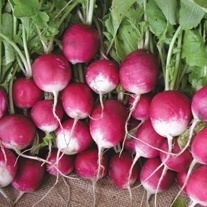 Radishes thrive in well-drained soil that is free from stones, that has had well-rotted compost dug into it (if manure has not been used for a previous crop). 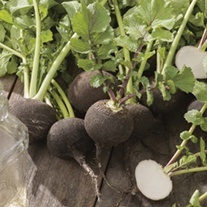 We recommend using Orgro, with an ideal N-P-K ratio designed for optimum growth. 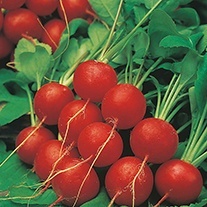 A sunny spot with a little shade is the idyllic spot for a radish, so these make perfect fillers between other crops. 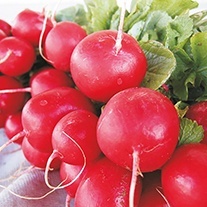 You should harvest your summer radishes when they have the approx. 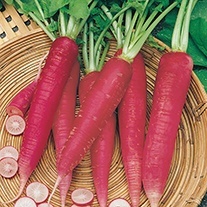 diameter of a 10p coin and winter varieties in November when they reach the desired size. 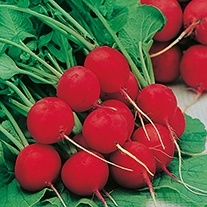 Pull them early to avoid a woody taste and hollow feel.